so you can only imagine my excitement when I discovered this new series!! This new book sounds awesome, and that cover is stunning! and I can't wait for it to arrive in April! Ooh nice! 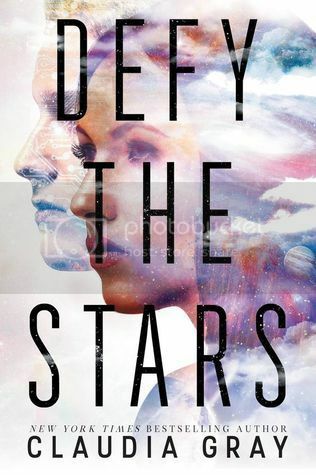 I'm curious about this one but space books tend to scare me, mostly because I am not sure I will enjoy them. They can be a little complicated if not done right. But I did enjoy A Thousand Pieces of You! Really need to finish that series! Ohhhh, they revealed the cover! Very cool. Gray's books are so hit-or-miss for me, but I've enjoyed a few. Fateful, for example - that one is my favorite of hers. I hope you enjoy this book when you get a chance to read it! Sounds interesting! I need to read some of Claudia Gray's books!